Transform your body from head-to-toe with this Total Transformation. 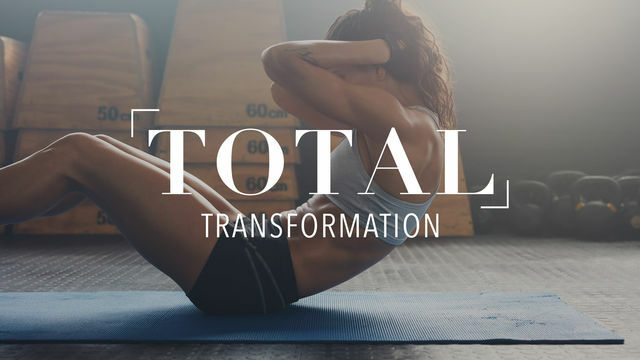 You will gain physical and mental strength by the end of this 4 week workout program, so commit to transform and you will be happy inside and out. Each day has a different area of focus, like your lower body, upper body, core and total body cardio. Are you ready to start your transformation? To see all of your hard work pay off, be sure to snap a before and after selfie for comparison! You will need dumbbells to complete this program.